With memories of Mother’s Day still lingering in our minds, we probably remember and recognize a lot of things that we neglect to thank our mothers for. But sometimes in our haste to thank and appreciate our mothers, we forget that fathers do their own share of quiet service and support. 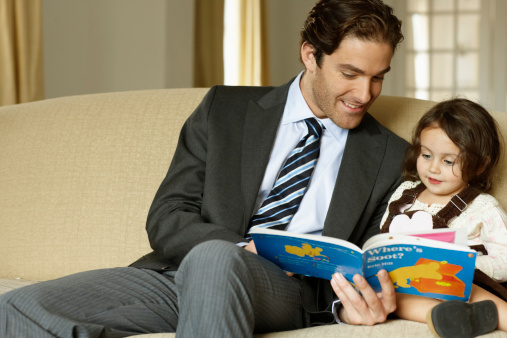 Check out some ideas of things you can thank your dad for this Father’s Day! Whether it was a football game, a ballet performance, or a piano recital, when Dad came to your event, it was likely extra special. Sometimes that meant cutting things close at work or putting off an important project to be there—a thank you for their time is likely to brighten Dad’s day! Likewise letting your dad know that time sacrifices like Family Home Evening, or being home on time for dinner meant a lot by telling him thanks. In many families, dads are the reason a family eats, has new clothes for the start of the school year, or can drive to school. Going to work every day can be a lot of work for your dad, and knowing that you appreciate him doing it will make his day! In families where Dad stayed home to take care of the kids, let him know how much you appreciate him taking care of you, feeding you, making sure you had a safe, happy home to come back to. Whether it was teaching you how to treat others or how others should treat you, Dad was probably a key reinforcement for Mom to teach you how to be a civilized, respectable human being. 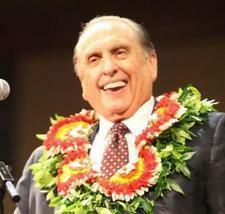 Thank him for his good example. Learning how to fix a bike, unclog the sink, care for the yard, budget smartly, or change a flat car tire are often skills that Dad has down well. And whether you ask him or not, he's likely to pass his years of wise fix-it skills on to you. While you may not have appreciated them at the time, you're probably grateful for them now. It's better to say thanks late than never! Dad's have a knack for spouting off humorous comments and making you laugh, even on a bad day. 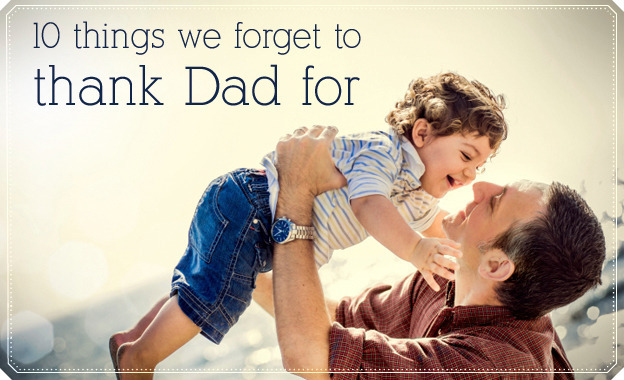 Whether their humor is bubbly or hilariously dry, thank your Dad for making you laugh. You may find he'll try and do it even more! When you just wanted someone to talk to, or if you really needed some direction with a difficult problem, Dad was ready with an ear and an answer, or at least a nudge in the right direction, no matter the hour. Thank him for the time he took, and probably continues to take, to help you work out your problems. Dads have a reputation of letting us get away with a little more than moms. It's not necessarily a bad thing—chocolate cake for breakfast, cookies before dinner, and an extra hour of staying were dad’s special way of telling us that he loved us and wanted to spend time with us. Make time for your dad and thank him for the time he makes for you. They go to work in the morning and come home and work some more around the house. If anyone knew how to work hard and taught you the value of a good work ethic, Dad did. We enjoyed this cute Mormon Message about Dad's busy schedule. Though Mom and Dad are probably equally encouraging, sometimes Dad pushes just a little bit more. From high grades in school to advancing in a job to making wise choices in an eternal companion, Dad has a way of encouraging your best effort in everything, but still loving you no matter the outcome. Whether your father is a member or not, he is a cornerstone in the family. Though often the practical voice, he probably has a soft spot in his heart for serving and loving—and he has faith in your family. Don't let his quiet, sometimes hidden example of support and love go unnoticed. What else are you going to thank your dad for this Father's Day? Send us a comment!